In AutoHex Auto scan tool (HexDiag) Benz software, in the tested system this function shows the present and stored Fault Codes with its complete description. You can save these faults by clicking (SAVE). 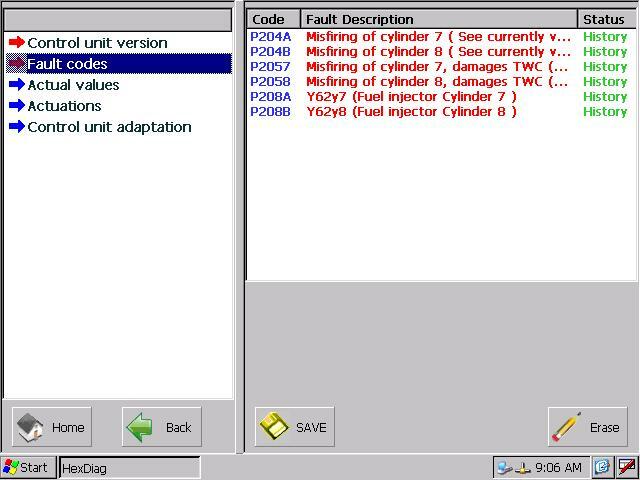 With (Erase) function you clear all fault codes and other diagnostic information.